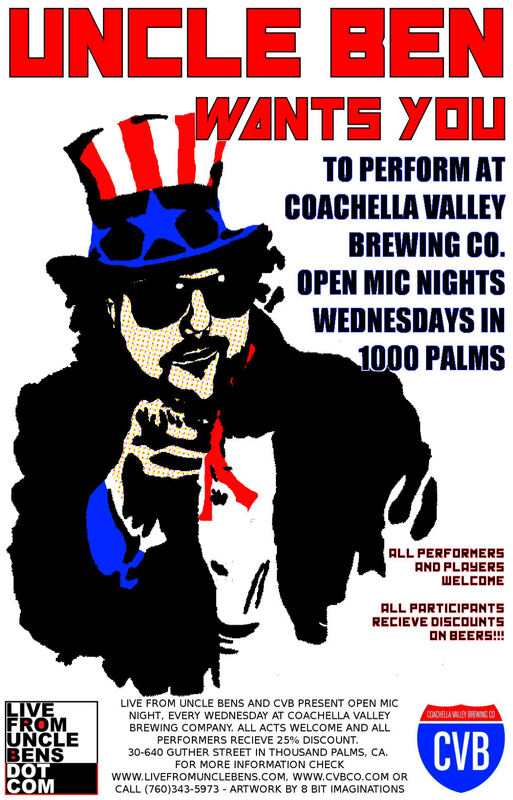 Live From Uncle Ben's Podcast in conjunction with Coachella Valley Brewing Company are pleased to announce Open Mic Night EVERY WEDNESDAY at Coachella Valley Brewing Company in 1000 Palms, CA. An amazing display of mediocre talent couples with some excellent local craft beers. See poster below for details! !